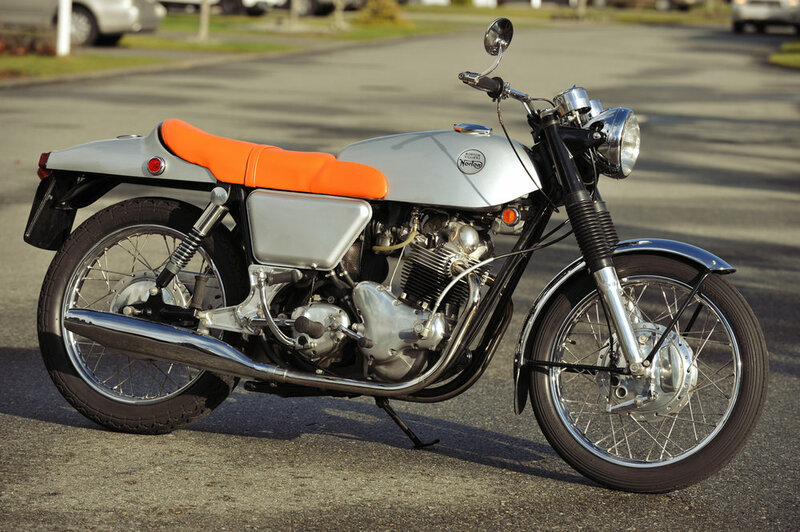 First shown at London's 1967 Earls Court motorcycle show, the Norton Commando represented a radical departure from traditional British motorcycle styling, with its forward-canted, rubber-mounted engine, swooping fibreglass “fastback” bodywork and bright orange seat. Only the first production batch featured this striking show-bike finish before it was replaced with red or green metalflake gel coat and more conventional black seat. 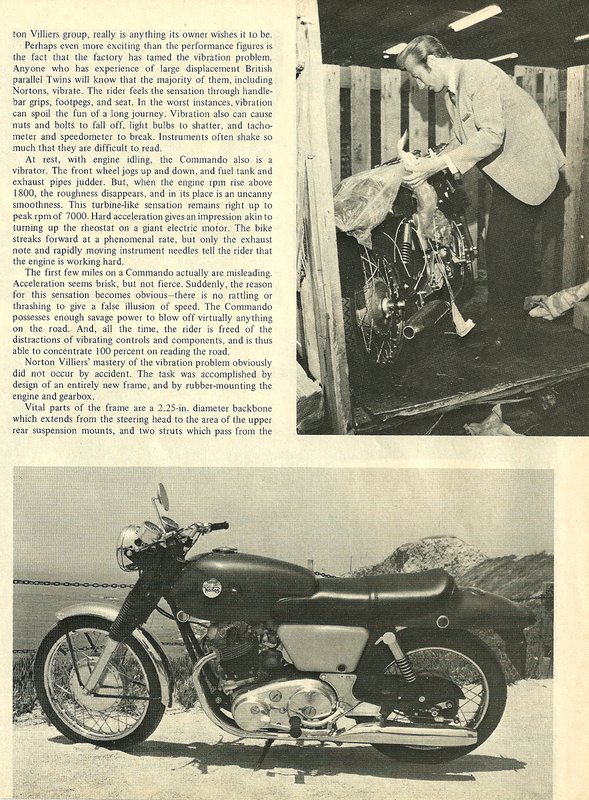 Very early Commando’s also used the crack-prone “widow maker” frame, the subject of a later recall. Our Featured Bike for 2018 is Darwin Sveinson’s pristine 1968 Norton Commando. This is a excellent example of one of the earliest Commandos known.